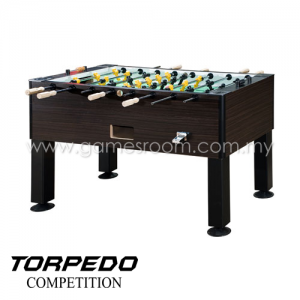 The Torpedo Competition is specially crafted foosball table that will fit perfectly into any leisure arenas. The Torpedo table offers excellent finishing quality and playing characteristic, blending the best of industry standards with unique craftsmanship. This table comes with leg leveler-wider contact area with anti-slip foam to improve table friction against the floor to provide excellent stability during game play. The leg is mounted steel with black powder coating and zink coated double-bolted legs for solid and long-lasting stability. The high pressure laminated surface provides durable and flat surface for the playfield. The Torpedo is supplied with 2 man goalie (13 players per team) and handle with wooden material to provide better grip friction during game play. The rod is nickel plated hollow steel rod to provide durable and light features during game play. High precision moulded rubber with reinforce washer is made for the bumper. The players are mould specially engineered with balanced weight from head to foot to enhance the game play. The Torpedo is also provided ball return at each end of table for easy restart. We will deliver your table in Flat Pack Packaging to the ground level at the address given when you placing your order with us. 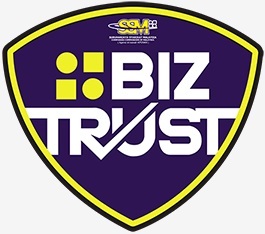 We are using a third party courier service without installation service. You may need to help the driver to unload the table from the lorry. Installation of this table is straight forward. Each table is provided with manual book with instruction on how to assemble the table. You may need at least two person to assemble the table. However, we are also provide an installation service with an additional cost to you. Please select your installation options if you need our team to assemble it for you. When you choose this service, we will deliver your table by using our own transport with professional installation team.